The 6-inch howitzer was one of the most successful guns of WW1, entering service in late 1914. In the early 1930s it was upgraded with calibrating sights and made suitable for vehicle towing with improved brakes and pneumatic tyred wheels (Mk 1P), or solid rubber tyres (Mk 1R). The ammunition was also upgraded by the introduction of new 86 lb streamlined shells that provided increased range and subsequently a 100 lb streamlined shell. It was the standard medium howitzer used in most theatres until progressively replaced by 5.5-inch in operational units although it remained in some training units until the end of the war when it was taken out of service. It was also reintroduced to operational service in early 1945 in Burma after a spate of bore prematures in 5.5-inch. A simplified conversion Mk 1PA was also produced for mechanical towing. This retained the old sight mount and range dial instead of a calibrating sight. It also had simpler brakes and a short fixed position 'draft connector' for towing. .At the beginning of the war ammunition stocks included HE Mks III - XV (2 crh) left over from WW1 and well as smoke, star and bursting chemical shells. By 1942 the old marks of HE and smoke shells were no longer available, and the 100 lb shell Mk 1D (23.86 inches long) was being introduced, although this was limited to charge 4 and used the A series cartridges. 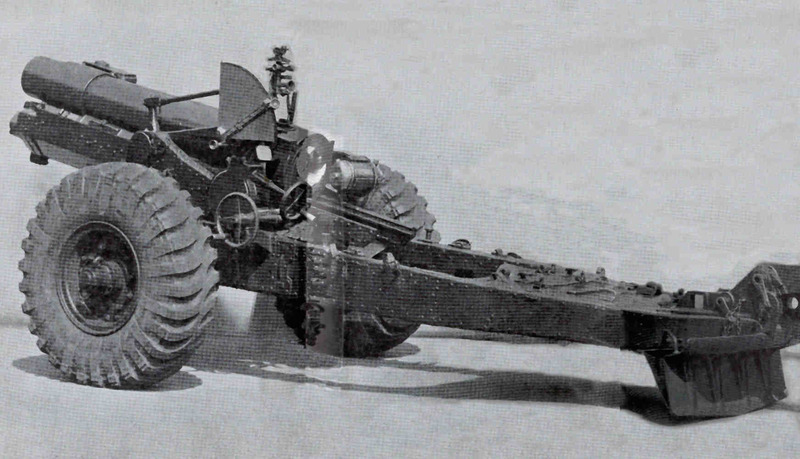 The South African Artillery developed their own twin-axle carriage with pneumatic tyres. A project for a 6-inch SP using Mk 4 (Churchill) carriages had stopped by late 1941. 26/Manuals/1336 Standard projectiles 2 CRH 99� lbs and 5/10 CRH 85� lbs, 1934. 26/Manuals/2249 100 lbs, Streamlined, Charge Super, 1939. 26/Manuals/2528 Standard projectiles 2 CRH 99� lbs and 5/10 CRH 85� lbs, 1940. 26/Manuals/2660 100 lbs, Streamlined, Charge Super, 1940. 26/Manuals/2987 Chemical, 100 lbs, 1942. 26/Manuals/419 BL 6-inch 26-cwt Howitzer Mk 1 on Carriage Mk 1 and 60-pdr Gun Mk 2 on Carriage Mk 4, 1926. 26/Manuals/1429 BL 6-inch 26-cwt Mk 1 Howitzer on Mks 1 & 1* Travelling Carriages, 1934. BL 6-inch 26-cwt Mk 1 Howitzer on Mk 1, 1P & 1PA Travelling Carriage, 1939. 26/GS Pubs/686 BL 6-inch 26-cwt Mk 1 Howitzer on Mk 1, 1P & 1PA Travelling Carriage, 1942. Mk 1 BL 6-inch 26-cwt Howitzer on Carriage 6-inch Howitzer Mk 1P(LP), 1939 . 26/Manuals/2938 Ordnance BL 6-inch 26-cwt Mk 1 Howitzer on Carriage 6-inch Howitzer Mks 1, 1P, 1PA, 1R, 1942 . 26/Pubs/1560 BL 6-inch 26-cwt Mk 1 Howitzer on Mks 1 & 1R Traveling Carriages, Limber BL 6-inch 26-cwt Howitzer on Mks 1 & 1*, 1929 . BL 6-inch 26-cwt Mk 1 Howitzer on Mks 1 & 1R Traveling Carriage, & Trailers No 20 & 21, 1937. Copyright � 2005 - 2014 Nigel F Evans. All Rights Reserved.